As a top-ten tourist destination in Texas, Nacogdoches is known for putting Texas on the table. 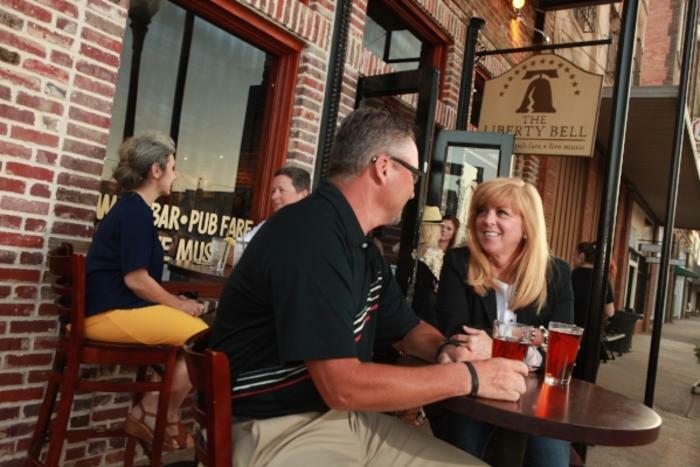 Unique dining venues range from some of the best-known barbeque and burger purveyors in the region to more upscale dining options. Enjoy a wide variety of cuisines in Nacogdoches’ casual, family-friendly restaurants. From terrific Texas BBQ to the perfect taco or delicate French pastries there’s something to satisfy every taste! Click on a name to view more info. Use the search filter below to filter results by category and/or region. Be sure to click "Filter Results" to see the results. 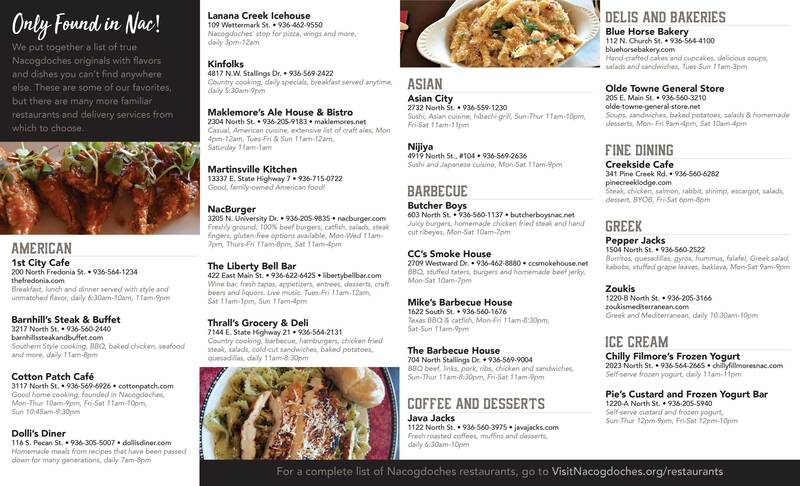 Or, to view an online version of our latest restaurant guide that highlights dining locations only found in Nac, click on the links below. 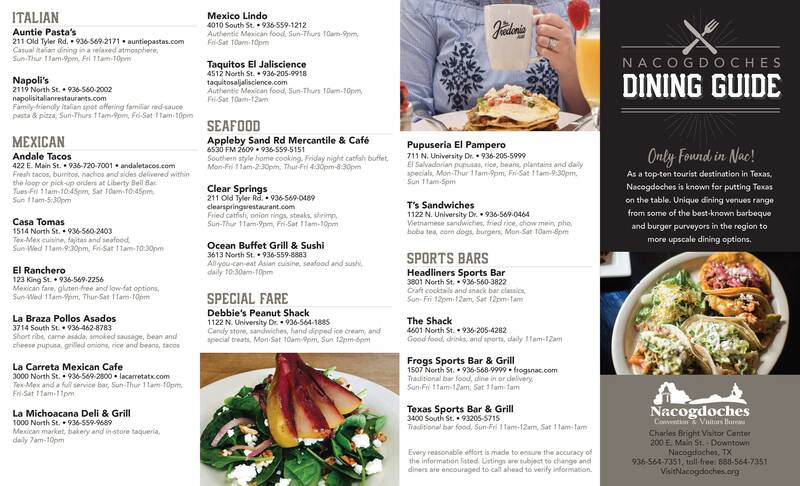 View our online dining guide!